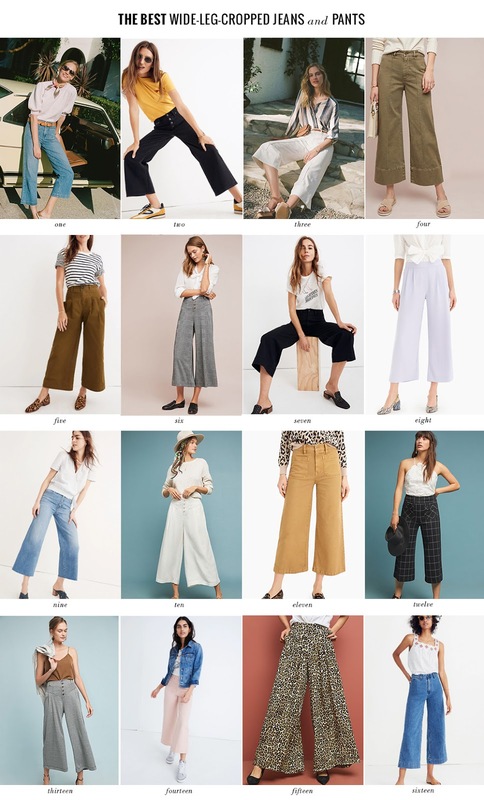 Wide-leg cropped pants and jeans are definitely trending and while I’m a skinny jeans girl at heart (I do own two pairs of flare jeans though) there’s something about this style that I really love. They are easy to dress up and down and there’s this comfy chic vibe to them that no other style can provide. The best way to go about them styling wise is to pair them with ankle boots for Spring, and then once the temperatures permit, you can definitely choose sneakers, heels, loafers…as you can see in the above round-up, they work with a variety of shoe styles.